Is this the track configuration that would be used on a typical track day, or do they use some of the other bits? 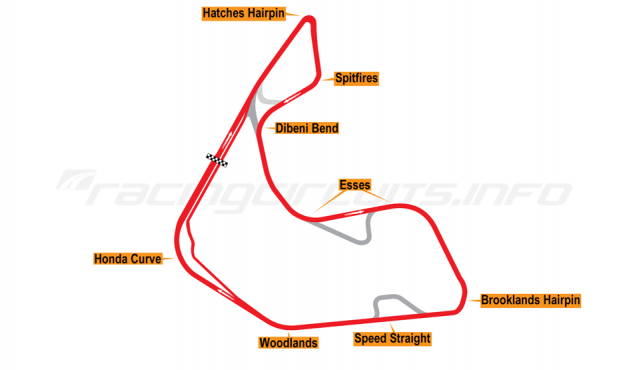 The link at Dibeni Bend would make for a shorter track, there is the possible divert at Esses and the one on the Speed Straight. That's the layout they mostly use for bike trackdays. The "new" bit they use sometimes is the bit between the Esses. Flows pretty nicely doesn't it. The original corner going into the Esses is decieving and will try and push you up on to the new bit of track anyway, so it may work better. I think Shammy has tried both layouts. I haven't done the new layout yet but have heard good things. I'll know by xmas if were going to get a llandow/pembrey double header Next year. It's a fun track to play on, just check the Racing calendar before booking. It's part of the season so you do get people practicing when it's close to a racing date there. Anyway been there loads of times and happened to record it. Below is the link to one of my vids from September this year. Not ever done the new track layout as the big left is my fave corner there. Fun little track, dries out quick if it rains and is grippy in the wet. The new layout lost the best corner on the circuit, the long left hander. So it's the old layout for me everytime. I like Pembrey, yes it's facilities are pretty basic but it's a decent track & the phil beavan days are always well run.